Everyone in the world is talking about corpora. Some people are saying how wonderful they are for non-native speaking teachers, that their students are very happy to have such resources at their fingertips, while others are saying that their whole view of language and language teaching has changed thanks to corpora. But far more people are saying that the tools are counter-intuitive, that the search results are difficult to process and apply, and that they simply don’t understand what all the fuss is about. This one-day event is for people on the positive side to share their experiences with people on the other side. Come and join us. Using corpora in the language classroom is the pre-conference event of the International Language Symposium Brno, 2019. The Symposium runs June 6 to 8 and the corpus day is being held on June 5th. Click here for the Symposium's website. Please help spread the word by sending this short link to all and sundry: http://bit.ly/ILSB19CORP. ​The day will begin with an introduction to issues related to using corpora in language education. This will be followed by some workshops and the day will close with a roundtable discussion. Participants are encouraged to become members of EUROCALL. For information about the work and the aims of this major organisation, see their website. In association with this event, there is a special membership offer of €55. ​When subscribing, choose the CALICO rate of 55 euro here. Complete the membership form. 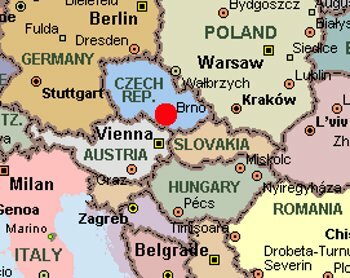 Use BRNO as the CALICO membership Number field. If you would like to present a workshop, the following topics would be of much interest, although other suggestions are welcome. Papers emerging from the workshops can be submitted for consideration to the Symposium publication. The 2017 Papers are available here. The cost of the pre-conference day is €50 or €30 if you are attending the Symposium in full. The cost will include all materials, morning and afternoon refreshments but not lunch. If you have any queries about this event, contact the CorpusCALL SIG chair, James Thomas at james@versatile.pub or through the CorpusCALL Facebook group. Enquiries about the Symposium itself should be made via its website.